The world of technology is constantly evolving and so too is farming. Who would have thought a few years ago that your every day farmer would rely on his smartphone as much as he does today. In the past few years, farming has gone through a total digital revolution and is being transformed day to day. The Farmers Journal daily digital news app broke into the iTunes top 100 most downloaded apps in less than two weeks after the launch in 2015. 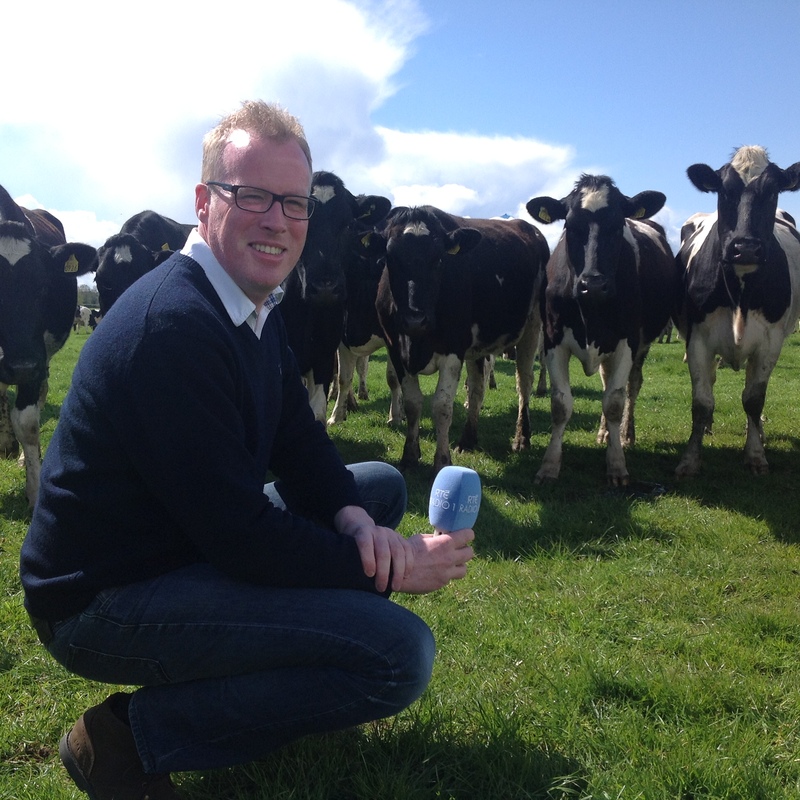 The app is most definitely the voice of farmers in Ireland with 247,000 readers per week. Even though the app has a lot of similar content to the print edition, it gives readers a lot more added benefits such as the ability to download content and read it when offline. You can also search for key words which really saves time when it comes to looking for certain content. The weather is a big factor in the everyday life of the Irish farmer. Knowing the weather for the upcoming days, weeks and months is vital for a farmer in order to plan the work ahead. The Met Eireann weather app provides an up to date look at the weather along with upcoming and future weather predictions for free. Agriland is one of the largest daily farming news portals in Ireland. The app itself is updated constantly throughout the day with all news farming and agri from not only Ireland but all over the world. The best thing is that there is no subscription or sign in process, so all the content available is completely free. Readers have all news available instantly on their mobiles. • The option to adjust text size and settings. Dondeal is often described – as being a giant in the farming community. Even though farmers still go to auctions and marts to do their buying and selling, a large amount of famers now carry out their buying and selling through Dondeal. Through done deal farmers have the ability to buy and sell goods on the go and upload their own content to sell in the click of a button. For farmers, it is much more effective when it comes to making a sale or a purchase. You don’t have to go home and sit at the laptop in the evening, you an keep up to date throughout the day. Herdwatch is the first cross – platform mobile solution fully approved by the department of Agriculture. The app gives farmers both mobility and peace of mind when it comes to recording legally required information such as calf births and remedies. The app is currently the number one must have app for dairy, suckler and beef farmers with over 7,000 farmers currently using the app across Ireland and the UK. One of the even better things about the app is the fact that you can work offline. Banking apps have simplified and completely sped up the whole payment process for farmers. All the bank apps today are simple and straight forward for the farmer to set up and use. People including farmers are all sceptical when it comes to giving card details over the phone and now all this can be avoided through the banking online apps. Farmers now have the ability to see exactly how much has been lodged or taken out of your account completely hassle free. There is no going into the bank to sort out anything financial. It can be done there and then with the click of a button. It is all in your hand. As Irish farmer’s trust increases in digital markets and mobile apps farming is beginning to grow even more and farming life is becoming that little bit easier with the rapid grow in technology. CEO of FRS Peter Byrne was invited on the Pat Kenny Newstalk Show On Thursday morning, November 10th as a panel speaker to discuss the changes in the Agri Sector with Minister Creed and Anna May McHugh. It was a great discussion. Listen back to the show on link below. It is on part 2. Herdwatch has received an Innovation Merit Award at their first ever UK and LAMMA Show appearance, which is the UK’s Largest Agricultural and Machinery show. Herdwatch is a Farming App by FRS Farm Relief Services which saves Dairy, Suckler and Beef farmers hours on paperwork and Bord Bia compliance, by simply using their smartphone, tablet or computer, for less than €2 a week. 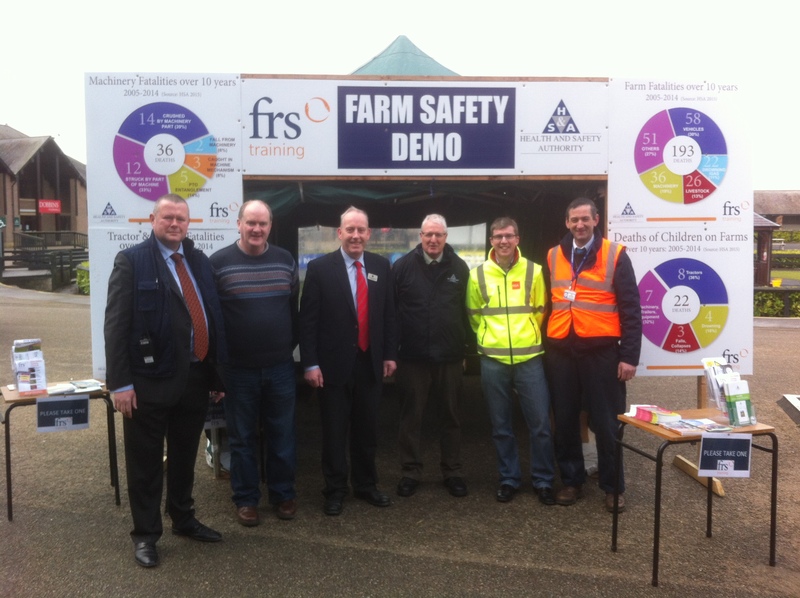 Farmers interested in finding out more can visit www.herdwatch.ie, where a free trial is currently available, or contact their local FRS (Farm Relief Services) co-op (list on www.frsnetwork.ie). The Herdwatch Team with Enterprise Ireland at the UK LAMMA Show and bringing home an Innovation Merit Award. 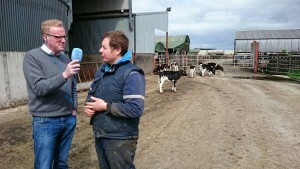 Pictured left to right: James Creevy, Herdwatch, Kevin Mooney, Enterprise Ireland and Helen Mulqueen, Herdwatch.